With Carmen Figueras and the staff of Spirit is Calling. As spiritual beings we are all healers, capable of creating change in our selves and others. The ability to heal through hands on touch, spirit to spirit communication, listening, counseling, rituals, and ceremonies where one or a group invoke the Divine is part of our DNA. Some of us respond to the call and pursue a path of healing others as our daily spiritual practice. We are called Ministers, and we are a conduit and medium for the healing vibration of The Divine. The Sacred Healing Ministry Program was created to give you, the healer, a safe and supported sanctuary to allow you to consciously exercise the gifts that God, The Creator, has given to you. Join us for a remarkable journey of exploration of Interfaith healing practices including Christianity, Hinduism, Buddhism, Islam, Paganism, indigenous practices and other others. Meet the faculty guest teachers: Rev. Lauren Van Ham, Rt. Rev. Heather Lauren, Rev. Claire Elisabeth and founder Rt. Rev Carmen Figueras as we demonstrate some of the healing practices presented in the Sacred Healing Ministry Program. From the founder Carmen: "This year-long Sacred Healing Ministry program, first and foremost, is designed to support you in healing yourself. You will explore the healer within you, and all aspects of your healing abilities, extending them both toward yourself and toward others. " Available online. Register 24 hours ahead for online attendance. In the body attendees in Berkeley, will be served lunch. Location will be announced at a later date. 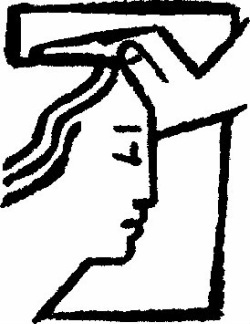 The next Sacred Healing Ministry Program starts Saturday February 8th, 2014. Click here to contact Carmen for a counseling on your next step toward the Sacred Healing Ministry Program.